We’re glad you found your way to our website. Citizens’ Climate Lobby is a national, non-partisan, grassroots advocacy organization focused on passing a national carbon fee and dividend bill to address climate change. In 2018, a bipartisan bill modeled on these principles was introduced in the House and Senate. 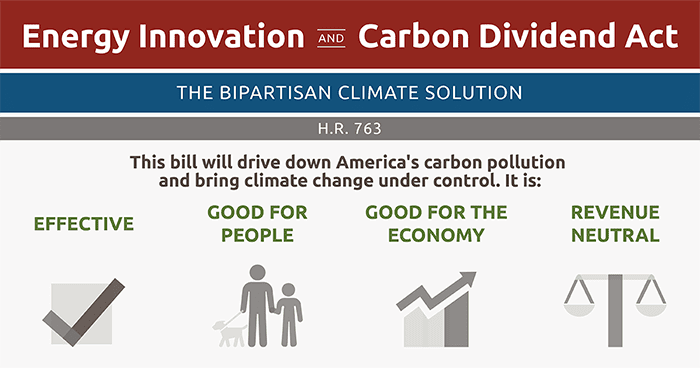 HR 763, the Energy Innovation and Carbon Dividend Act, (EIDCA) was reintroduced in the House in January 2019. Click here to get more information about the EIDCA. We invite you to join us at our next meeting as we work together to pass this bill. Ann Arbor CCL meets on the second Saturday of each month at the Ann Arbor District Library (343 S. Fifth, in the 3rd floor Freespace). Meetings consist of a conference call with the national organization, featuring a different guest speaker each month, followed by a discussion of local actions. You can also check our calendar for other events. To get more information, contact the group leader, Ginny Rogers, at annarbor@citizensclimatelobby.org.